Cobra Golf,’s new KING F8 and KING F8+ drivers each feature what the company says it’s the brand’s first first-ever Precision Milled Forged face. 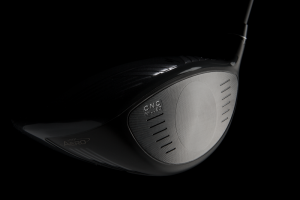 Each driver, according to Cobra, has a fully CNC machined driver face paired with 360o Aero Technology and is equipped with “Cobra Connect’’ Powered by Arccos. Both the F8 and F8+ drivers will be available at retail on January 12, 2018. Olsavsky said the first fully machined driver face utilizes a unique multi-directional CNC milling pattern that delivers the highest level of precision for superior performance. Compared to traditional hand polished drivers, Olsavsky said, CNC precision milling allowed Cobra engineers to achieve precise face thickness and tighter tolerances resulting in improved bulge-and-roll curvatures with a face that is three percent thinner and 10 percent lighter for maximum ball speed across the face with distance and accuracy. The KING F8 and F8+ drivers (along with COBRA’s entire F8 family of products including fairways, hybrids and irons deliver the first ever connected set of golf clubs), feature Cobra Connect Powered by Arccos, a connected golf system that Cobra says helps players of all skill levels make smarter, data-driven decisions. Electronically embedded sensors in the grip automatically record the distance and accuracy of every shot so golfers can track their improvements round-to-round. Using the Cobra Connect/Arccos 360 mobile app, users simply pair their club to receive detailed performance data and access rangefinder GPS distances for more than 40,000 courses worldwide. The KING F8 driver (MAP $399) features an oversized address profile that Cobra says increases Moment of Inertia (MOI) and provides more distance, forgiveness and speed on off-center hits. An adjustable weight system offers two Center of Gravity (CG) settings: one in the back for a higher, towering ball flight and one in the heel to provide additional draw bias. Olsavsky said Cobra’s 360o Aero Technology incorporates an innovative system of aerodynamic trips strategically positioned around the perimeter of the face to improve drag reduction through the downswing for increased clubhead speed. The KING F8 Driver will be available in two colorways, a Nardo Grey or Black. The driver will come stock with a Lamkin REL 360 (Tour Taper; COBRA CONNECT) grip in nardo or black (to match the clubhead color) and a choice of three stock shafts: MRC Tensei CK Blue 50g (lite & regular flex); Aldila NV 2KXV Blue 60 (regular or stiff) or an Aldila NV 2KXV Green 65 (stiff flex). *Additional shafts and flex variations available in custom. Designed with a more traditional clubhead shape and a lower loft range (8.0o, 8.5 o, 8.5D o, 9.0o, 9.5D o, 10.0 o, 10.5D o and 11 o), Olsavsky said the F8+ Driver (MAP $399) utilizes the same key technologies as the F8 driver – including a CNC Precision Milled E9TM face, 360° Aero Technology, a Carbon Fiber Crown and MyFly8 Technology. Featuring lower trajectories compared to the F8 driver, the F8+ driver is equipped with two CG settings, one in the front, for a lower, penetrating ball flight, and one in the back for a higher, towering ball flight with slightly more spin.